Everything you’ve ever wanted to know (but were too afraid to ask) about attending a Broadway Musical in New York. What to wear, how to get there, what time to arrive, finding your theater, receiving your tickets, and everything else you’ve ever wanted to know about attending your first Broadway Musical. New York City can be a pretty exciting place – fast paced and full of energy. But sometimes the lights, sounds, cars, buildings, and people can make everything a little overwhelming as well. Many people would like to attend a Broadway Musical in New York but the thought of going through all that hassle can be paralyzing. We would like to help make your New York City experience as stress free as possible. There are many things that you can’t plan or control in this great city but one thing you can prepare for is a night out at the theater. We believe that the more you know about buying tickets, finding the theater, what to wear, and how to act, the more you will enjoy this once in a lifetime Broadway musical experience. Buying and Receiving your Tickets: Applause-Tickets is one of the only ticket companies in New York City staffed with local experts to help you find the show that is exactly right for you. We are available via chat on our website and live on the phone to answer all of your questions. Once you pick a show or musical, we will gladly ship your tickets to your home via Fed-Ex so that you will have them ready for the big night. Attending Shows with Children: If you want to attend a Broadway musical with your young children, be sure to pick one that is age appropriate. Some shows can be racy with material not suitable for young kids. When you attend shows with children, consider picking seats at the end of an aisle in case you need to take them to the restroom during a show. By all means, consider Broadway a family friendly place. 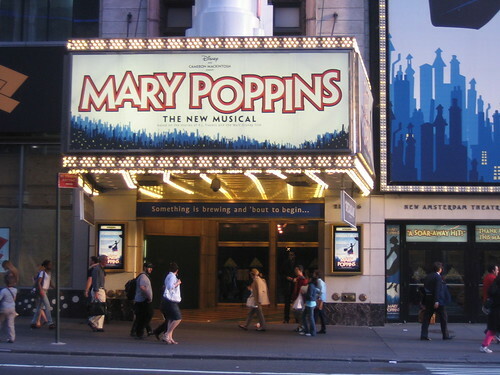 There are always plays and musicals showing that are fun and entertaining for the whole family. Think Mary Poppins and Lion King! What to Wear: Attending a Broadway musical in New York used to require formal wear but this is no longer the case. Nowadays they ask that you dress smart and presentable when attending a show. Some suggestions would be slacks and a polo shirt for the men and slacks or a skirt with a nice blouse or sweater for the women. Finding the Theater: If you are in town visiting New York City and staying at a hotel, simply ask your concierge where your theater is located. They are used to helping people find their ways to shows via taxi, subway, and walking. If you are local or not staying in a hotel, please call us at Applause-Tickets. We are always happy to give directions. How to Act: When you attend a Broadway musical, be prepared to be on time, use the restrooms ahead of time and turn off your cell phones (no talking or texting). You will most likely not be seated until intermission if you arrive after the show has started. Above all, do not talk during the show. Save any questions you have for intermission or until after the show is over.